Good morning, everyone! Happy Thursday! Happy Thirty-Dollar Thursday, I mean to say. Here’s my thirty-dollar painting today. 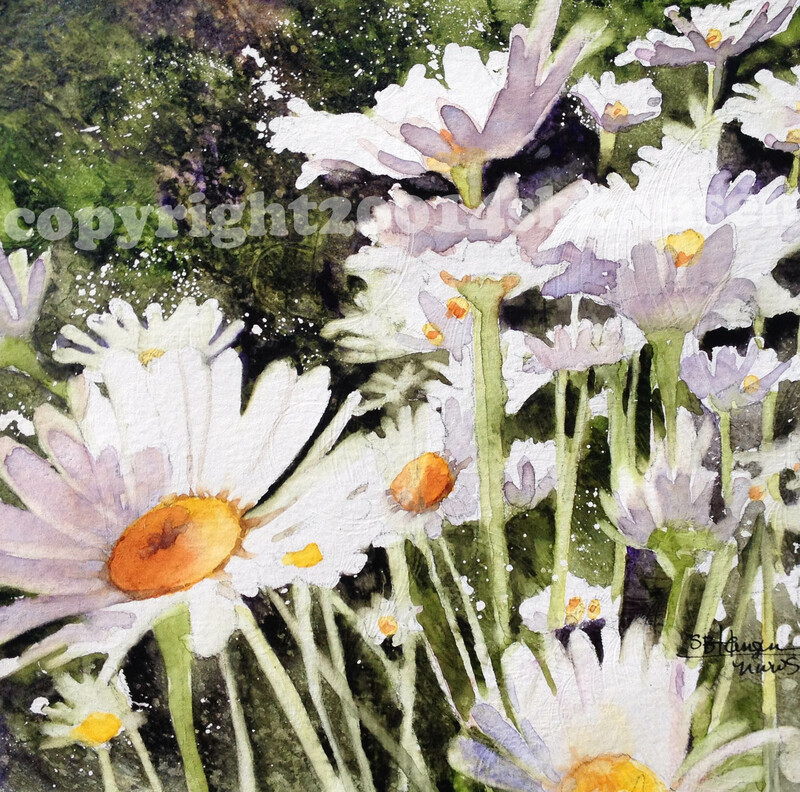 The painting is as bright and cheery as the daisies were when I walked past them at the Old Mill by the Colorado Bridge on my lunch hour this week. I just HAD to snap a photo of their sunny faces, tossing around in the breeze. Thirty-Dollar Thursday, “Sunny Daisies”. 8×8 watercolor on gessoed watercolor paper. Unframed. So first come, first serve. Message me to let me know you want it. This painting would be listed for $50 on my online store. It is an 8×8 original painting, with foam core back, matted to fit a 12×12 frame. Follow me on Facebook for fabulous offerings and check out my store to order larger pieces other small works, or prints. Love to you all and have a glorious Thursday!